Joyce Cartlidge is 82, and has spent literally half her life researching the life and family of Empress Eugenie. Joyce was born in 1926 in Derby, but moved shortly after to Nottingham where she has lived most of her life. She won a scholarship to Mundella Grammar School but due to wartime conditions was only able to complete 2 Â½ years there. Prior to marriage in 1947 she worked for her father, a motor engineer and garage owner. 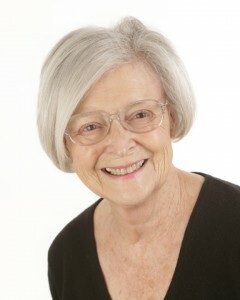 For most of her married life she has assisted her husband in his practice as consultant chartered builder and surveyor. Joyce is a long-standing member of The Inner Wheel Club (linked to the Rotary Club). having served as President for both the Wollaton Park and Newark Branches. Her hobbies include horse riding, ice skating, family history and caravanning. She has two children, a son and a daughter, both of whom are married.